The public fees for all the CERFACS training sessions are 400 euros per day. 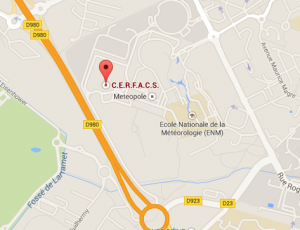 For people from CNRS, INRIA and for CERFACS shareholders, fees amount to 200 euros. For students, fees are 70 euros per day. The registration fees include course materials, breakfast for your first day, lunch and two coffee breaks per day. ** The code coupling training session with OASIS” has a special fee as it is performed by a CNRS researcher and can benefit from european projects. The training sessions dates will be confirmed at least 3 months before they start. A minimum number of 4 people is requested to maintain the sessions. To register in a training session, please fill in the above form. You will receive a registration form by return of mail. You are requested to sign it and be approved by a supervisor in order to be fully registered. Mail : please use our contact form.